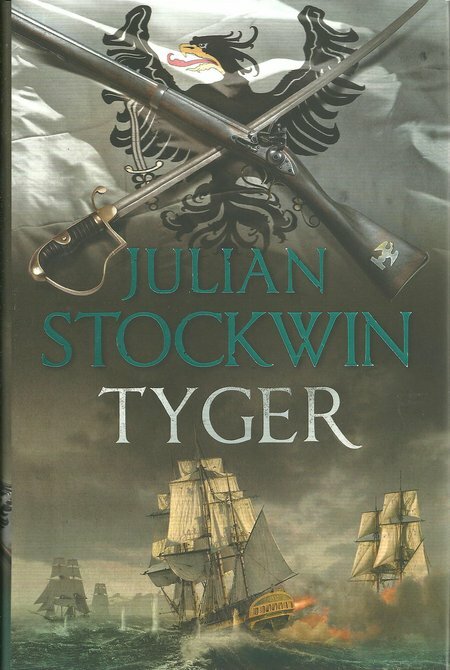 SUBJECT: Napoleonic Wars, Prussia, Baltic, Royal Navy, Kydd, Renzi, sailing navy, history, entertainment, 16th Kydd story, Napoleon, post-Trafalgar. DESCRIPTION: A good novel should contain elements of the truth, pace, variation, suspense, highs, lows, and story line that is exciting, holding the attention of the reader to the last page. This latest cracking yarn in the Kydd and Renzi saga is a very, very, good novel. Once again there is a challenge for the reviewer. How can the best efforts of a well-established author be adequately conveyed without ruining the readers’ enjoyment of working through the plots and counter-plots. Any existing reader of this series of nautical novels from the age of Nelson will have been waiting with increasing impatience for the publication of the next story. Whatever this reviewer may write will make no difference for these readers. They are firm fans. However, the readership continues to grow and grow. The stories are translated into more languages and the books become available in more formats. Be assured that this new book is worth every penny of the hard back price and more. Be warned that the series is habit forming and new readers will want to go out and buy all the preceding instalments. Enjoy. This latest tale is as fresh as the first in the series. As the sixteenth story in the series, this is an achievement in itself. Successful authors often become bored with their characters, or simply cannot think of how to develop them further. Fortunately, Stockwin is still enjoying his characters and their unfolding saga as the most avid fan. Having worked through to Trafalgar, the author would have been forgiven for resting on his laurels as so many before him have. Happily, he appreciated the rich seam of adventures that stretched out for the Royal Navy after 1805. He has already built instalments around two very important early dashes for Empire and this tale picks up the aftermath of the second dash. There is advancement for Kydd and a new contentment for Renzi, but there is also great peril lurking for Kydd. Renzi has returned to the aristocracy and married Kydd’s sister but he still makes two appearances in this latest tale. Hopefully he will make a stronger appearance in later instalments and the foundations have already been laid for this possibility. Kydd has been knighted and looks to be set for fair winds and a following sea, but he will plunge once more and claw his way back, close hauled, to greater glory. The pace of the story is good and more layers of the onions, that are the regular cast, are pealed away to reveal great dimension to the characters. New characters are introduced. That is all part of the craft of an established and well-loved author. This story includes backdrops from the Arctic and the Baltic. Little-known elements of British and European history that have been seriously neglected for English language readers. This neglect is something of a great mystery because they directly and indirectly have considerable impact on the unfolding British history from 1805. Few know of the Muscovy Company, or that the Spitzbergen islands were claimed by Elizabeth Tudor for England and then by James VI/I for Britain. Then, the prize was whaling and the method still of driving whales into bays and stranding them. British tenure in Spitzbergen forced the Dutch to find ways of whaling at sea and created a new whaling industry that Britain and the United States profited from until the extraction of crude oil provided a greater opportunity. The Muscovy Company obtained a monopoly for Elizabeth Tudor that saw them develop trading with the Russians and efforts to establish a new route to China. Ivan IV, best known as Ivan the Terrible, was a credible suitor for the hand of Elizabeth Tudor. Other events have diverted historians from these very interesting elements of British and European history. Sweden had been active in dictating German history and continued to play a part into the Napoleonic Wars. From the series of wars before 1870, Prussia had become an increasingly important factor in European history. Trafalgar may not have resulted in the surrender of France, but it signalled the eventual end of the Napoleonic Wars and forced Napoleon to go East in much the same way that, in 1940, the Battle of Britain halted hopes of German victory in Europe and forced Hitler to send his armies into Russia. This new tale of the life and times of Kydd and Renzi makes good use of these neglected parts of history and brings Kydd his own great victory against virtually impossible odds, then keeping up the suspense as he and his crew fight their way home. It balances between his earlier triumphant homecoming and honour, his apparent fall from grace, his fight to turn around a mutiny, his pending disgrace, and then the great triumph. Like the large and swelling group of avid readers, this reviewer is now impatiently awaiting the next instalment.